PRO PLUS+ is designed to prolong engine and wet clutch life and offers excellent feel, smoother transmission shifting, easy starts, and improved fuel economy. PRO PLUS+ is an ester fortified 100 percent full synthetic 4T engine oil. 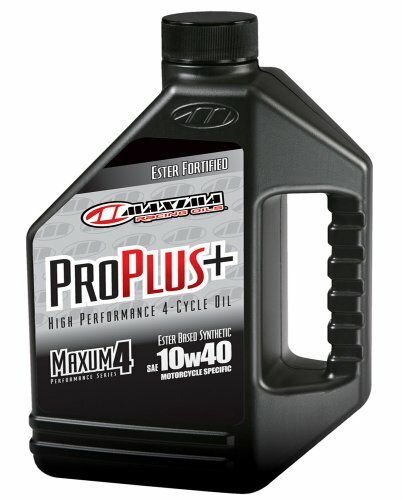 PRO PLUS+ is formulated to exceed JASO MA requirements for 4-cycle engines with integrated wet clutches. Balanced Anti-wear and Anti-scuff additive system minimizes engine deposits while protecting critical engine, transmission and clutch components. All weather formula meets or exceeds JASO MA, API SL/SJ/SH/SG. View More In Engine Oil. BEL RAY LUBRICANT Scooter Semi-Synthetic 2T Engine Oil - 1L.